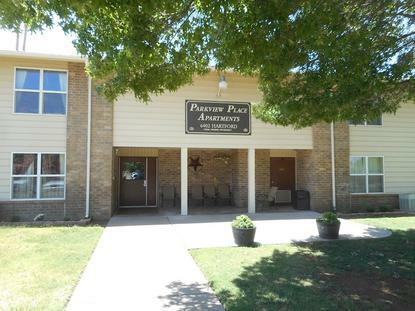 Parkview Place, located at 6402 Hartford Ave in Lubbock, has one bedroom apartments. Parkview Place participates in the Section 8 Project-Based Rental Assistance program. Parkview Place Apartments is ideally situated to give you easy access to the best of what the area has to offer. We are located a short distance from convenience stores, dry cleaners and parks. Here at Parkview Place Apartments we understand that your pet is a special part of your family. We are pet friendly and look forward to making your furry friend a part of our community! These general income qualifications for Lubbock, Texas should only be used as a basic guide. To find out if you qualify, contact the community directly. Parkview Place receives rental subsidies through HUD-Assisted Housing for some or all of its apartments. Some units may be designated as market rate housing. Market rate units would have no subsidies or income restrictions. Parkview Place is managed by Millennia Housing Management.